Dr. BJ Rimel was crestfallen when a major study of a promising treatment for ovarian cancer failed. LOS ANGELES — The news came like a physical blow. Gynecologic oncologists across the nation had been anxiously awaiting results from a major study of a grueling — but promising — method of delivering chemotherapy to ovarian cancer patients. The results were grim. The study showed that intraperitoneal, or IP, chemotherapy was no more effective than traditional treatments. “You could have heard a pin drop,” said Dr. BJ Rimel, a gynecologic oncologist at Cedars-Sinai Hospital here in Los Angeles. She had enrolled patients in the study and was in a conference room with hundreds of her colleagues last week when the results were announced. Fewer than half of ovarian cancer patients survive five years. The study offered no new hope. One oncologist, Dr. Michael Bookman of Scottsdale, Ariz., stood up and said he needed a drink. Others attending the annual Society of Gynecologic Oncology conference in San Diego took to Twitter to express their dismay. IP chemotherapy can be miserable for patients. It delivers the drugs not through an IV but through a port in the abdomen that leads directly to the cancerous tissue. That means pumping a liter of fluid through the port, distending the abdomen. Patients describe this as feeling like a beached whale; it can take hours for the fluid to be absorbed. Patients are then rocked side to side on their beds to swish their insides with medicine, a technique also used with some other abdominal cancers. The treatment can cause nausea and vomiting so severe that patients dehydrate. Nerve damage from the treatment can also cause disabling pain and weakness in the hands and feet. A smaller study of IP chemo back in 2006 showed it might be worth the pain: Among 429 patients randomly assigned to different therapies, IP increased overall survival from 50 to 65 months, compared to IV chemo. That landmark clinical trial spurred the National Cancer Institute to take the rare step of issuing a clinical announcement stating IP chemo should become standard care for ovarian cancer. But the therapy wasn’t embraced. A 2015 study showed less than half of patients who might benefit were receiving it. Many attending the oncology conference thought the new data, based on a study of 1,560 patients, would reinforce the use of IP chemo and make it the standard of care across the nation. Instead, Rimel and other physicians now say it probably shouldn’t be used at all — especially since another study presented at the meeting reported that patients in the trial felt horrible after the treatment. The news is startling to advocacy groups that have spent years fighting for patients to receive IP chemo. 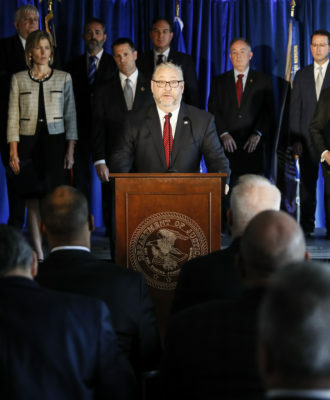 “These results are so jarring — to physicians and everyone else,” said Sarah DeFeo, who oversees scientific affairs for the New York-based Ovarian Cancer Research Fund Alliance. Ovarian cancer, which is hard to detect because there aren’t many symptoms, kills 14,000 American women each year. “There just aren’t a lot of options,” DeFeo said. It fell to Dr. Joan Walker to deliver the disappointing news at the conference. A pioneering gynecologic oncologist who has been using IP chemo for 30 years, Walker helped run both the new trial and the one in 2006. 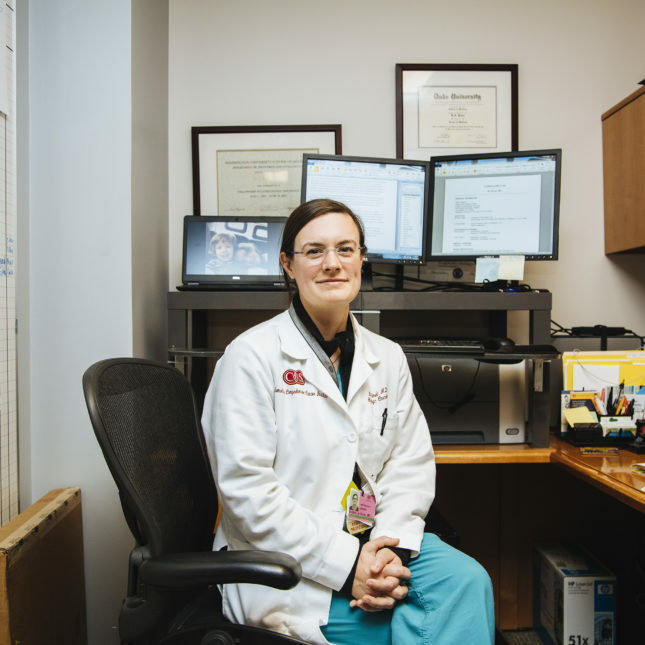 After the conference, she returned to her office at the Stephenson Cancer Center in Oklahoma City to find a flood of emails from physicians across the country asking if they should use the therapy. Leah Robinson, a 50-year-old mother of two who lives in the Los Angeles area, underwent six cycles of IP chemo after a 2013 ovarian cancer diagnosis. She called it very uncomfortable but not disabling and said she gutted through the day-long procedures because her doctor was convinced it would extend her life. Despite being diagnosed with Stage III cancer, she has been cancer free for more than two years. Many physicians also wonder whether the most recent trial failed in part because the protocol this time added another drug not used in 2006 — the angiogenesis inhibitor bevacizumab, sold as Avastin. Avastin, which blocks the blood supply that feeds tumors, was widely hailed as a potential treatment when the new trial began in 2009. But Walker suspects it may have interfered with the chemotherapy drugs. It also had the side effect of raising patients’ blood pressure. Most frustratingly, its presence in the drug cocktail makes it hard to sort out exactly what, if anything, helped some patients in the trial. “We let our love affair with bevacizumab ruin a study we could have learned from,” said Dr. Erin Stevens, an oncologist based in Billings, Mont. Walker is continuing to sift through the data to see if IP chemo increases survival rates in some subsets of patients. While she understands some physicians may now turn their back on the treatment, she thinks IP should be tried with higher doses of chemo, as it was in the 2006 study, now that better antinausea drugs may make it more tolerable. “It’s not the end of the story,” she said. Ovarian cancer may be so hard to treat — and even to understand — because it’s not a single disease. Very few ovarian cancers actually start in the ovary, but rather spread there “like dandelion fuzz,” from other organs, commonly the fallopian tubes, Rimel said. The fact that ovarian cancer may be a “constellation” of different cancers may explain why IP treatment worked well on some women but failed with others. The disease is also a nightmare to understand genetically: One study of 300 ovarian tumors showed none were alike genetically. An Institute of Medicine report released this month found “surprising gaps” in knowledge of the disease. Family history and variants of the BRCA1 and 2 genes, which are implicated in some breast cancers, account for only some cases of ovarian cancer. And scientists are still investigating whether talcum powder may play a role in development of the cancer. New clinical trials may have to better distinguish between the actual subsets of cancer that patients have to see what treatments work best, Walker said. But funding for ovarian cancer trials is tight, because it’s a relatively rare disease; that means IP chemo is not likely to be studied again soon. Researchers are turning their sights to new targeted therapies, such as immunotherapies and genetically based drugs, but most of those remain in early phases of development. Rimel, who is tending to three patients in hospice care this week, said she remains brokenhearted about the trial results. Correction: An earlier version of this story misstated the name of the gynecologic oncology specialty.